This workshop involves beginner and intermediate soldering. 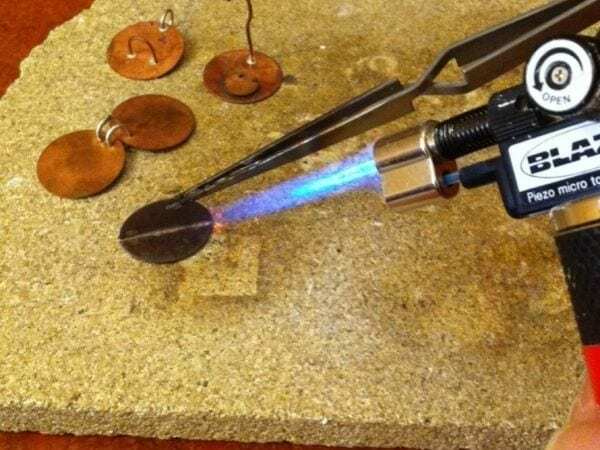 Learn and hone a variety of soldering skills—connecting an open jump ring, adding a ring to another piece, and more. Leave with a variety of samples and a new set of skills. No experience necessary. Instructor: Kelly Kinser. This class serves as a pre-requisite for many metal working classes. Registration is $105 and includes all materials, instruction, and use of studio and tools. Register in person, via phone at 319 338-1566, or on-line.